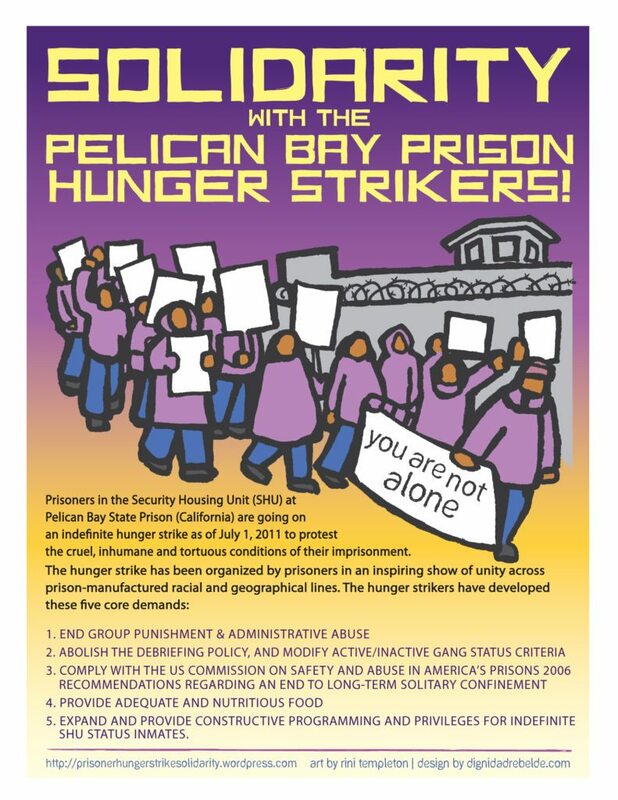 Hunger Strike Supporters have arranged visits with the prisoners during the hunger strike at Pelican Bay. Many supporters are also rallying outside of Pelican Bay and Corcoran regularly. Family members and friends are also sharing information from their loved ones at other prisons across California. Prisoners have also been updating advocates and activists through letters. 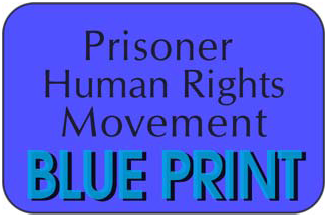 These posts are updates from the prisoners as the hunger strike develops. Tacoma – On August 8th, 20 people inside the Northwest Detention Center (NWDC) started another hunger strike, the fourth this year alone, demanding to be released from segregation and for all people detained be released to their families and communities– starting with people that are not deportable, those that should be covered under the Convention Against Torture, and those that have waiting for a response on their case for more than 1 year. This most recent hunger strike is in response to the increasingly appalling actions of the GEO Group, the private prison contractor who runs the NWDC facility. People in one unit were retaliated against for protecting each other from GEO guard’s assaults, threats and intimidation. 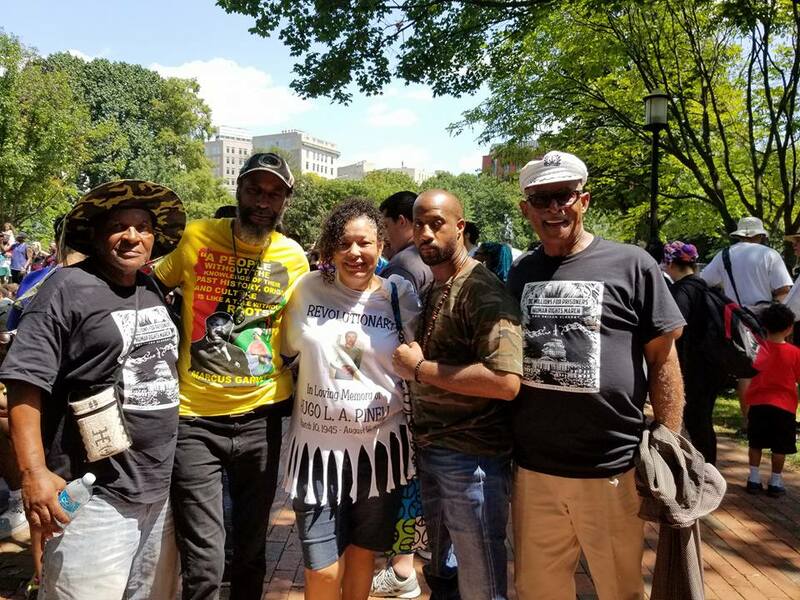 On Aug. 8th, at 11am, the whole unit was dismantled, 20 of those were sent to solitary confinement, accused of “starting a riot.” The rest were sent to a different unit. The hunger strike began at 11am, and will not end until the 20 in solitary confinement are sent back to general population. On Friday, August 4th, a GEO guard assaulted a youth, who came to the country as an unaccompanied minor, and was transferred to the facility once he turned 18. When people vocally protested the assault, GEO locked down a part of the facility, disallowing people to use the phones, lawyers were not allow to visit, and the lights where turned off. Since Saturday August 5th, the whole facility has been in “modified lockdown,” people inside have reportedly been restricted from talking to each other, have limited access to phones, and are taken one at the time to receive medications among other restrictions. One hunger strike organizer recently was threatened recently by Immigration & Customs Enforcement (ICE) with indefinite detention if he did not stop organizing. ICE and his parole officer made it clear if he did not stop organizing hunger strikes, they would transfer his back and forth between facilities, “Why threaten me this way when ICE and GEO both claim we are detainees, not prisoners?” said the person threatened by authorities. In a recent tour of the NWDC facility for legal groups, ICE admitted to transferring people from one facility to another as retaliation for organizing. Over 15 immigrants held in solitary confinement continue on hunger strike. The hunger strike began Aug 8th at 11am when 20 immigrants were taken to solitary in retaliation, highlighting poor detention conditions and a violent and hostile environment for up to 1,575 people held by the GEO Group for Immigration and Customs Enforcement (ICE). The hunger strikers have issued demands to GEO Group and ICE, calling for them to respect the humanity of detainees. The hunger strike will end once all 20 people are returned to general population. Hunger strikers demand that the 20 people who were placed in solitary confinement for “planning a riot” after the event that happened on August 4th because they yelled at a GEO guard who was assaulting a youth be released back into the general population. The boy had recently been transferred to the NWDC after turning 18, after arriving as an unaccompanied youth and held by child services until he was eligible for detention and deportation. After his assault, GEO guards placed the facility on lockdown — no phones, no lawyer visits, not even lights. Since then, the facility is on “modified lockdown” and even those not held in solitary confinement have reportedly been told that they cannot talk to each other.